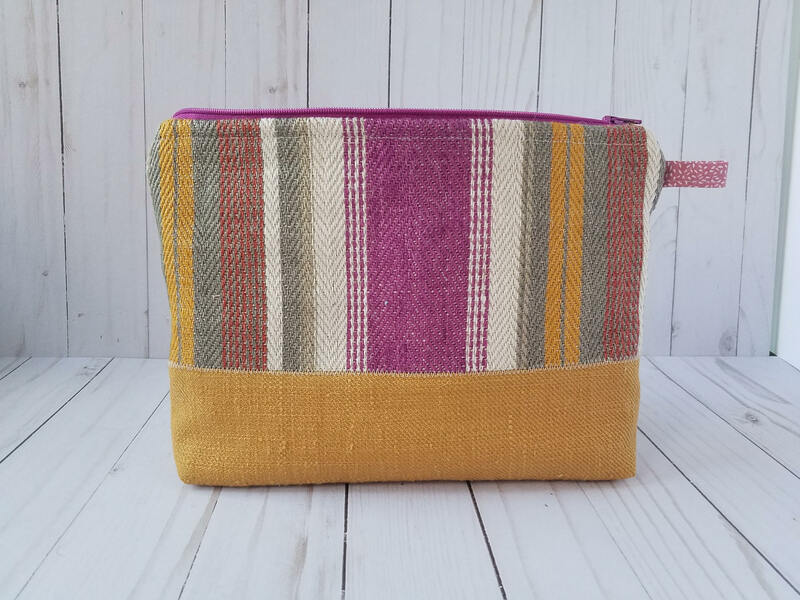 This brightly-colored cosmetic bag will be your favorite pouch to carry personal items. 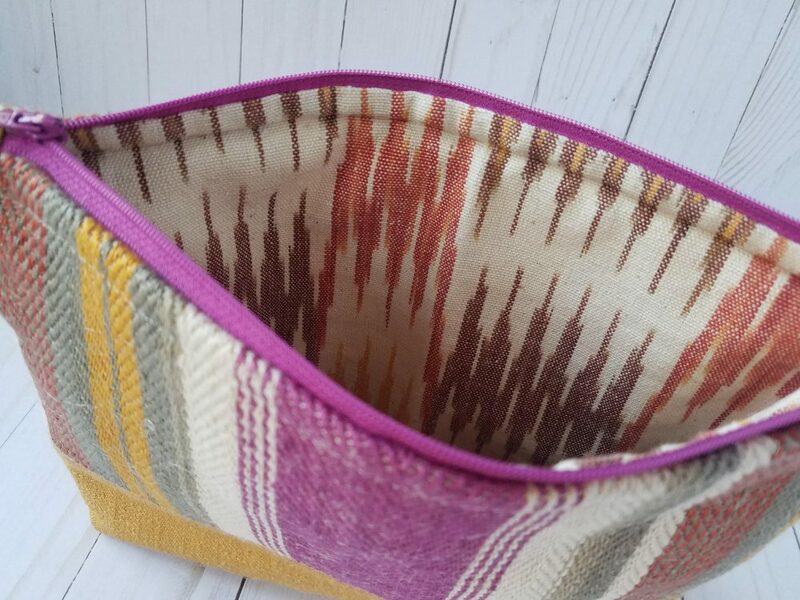 Its fun stripes in pink, gray, beige and yellow will lift your spirits every time you use it! 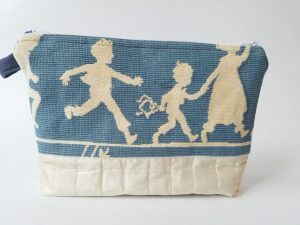 Made of strong home-decor fabrics, it is long lasting and has a unique look. And, it’s one of a kind, too! 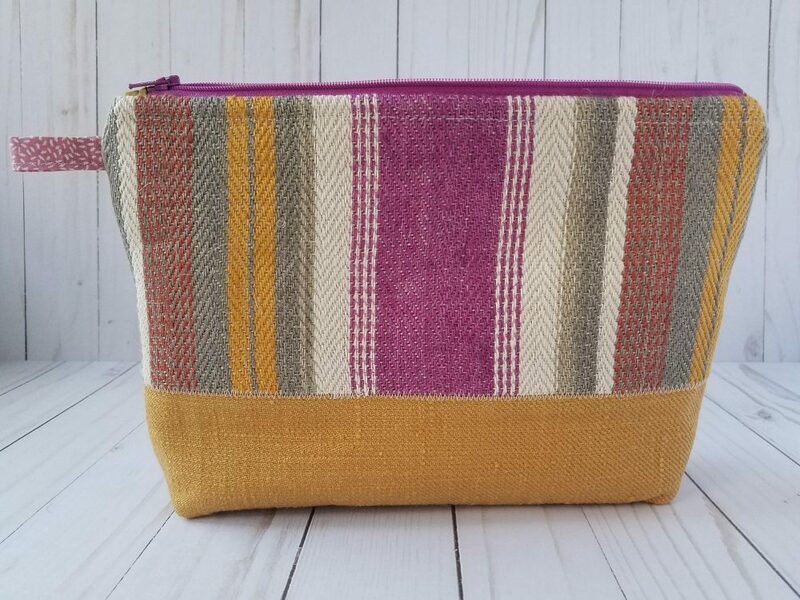 A basic zipper pouch, this bag can serve multiple purposes and carry an array of items: cosmetics, toiletry, beauty products, school supplies, travel items, hair accessories and so much more. 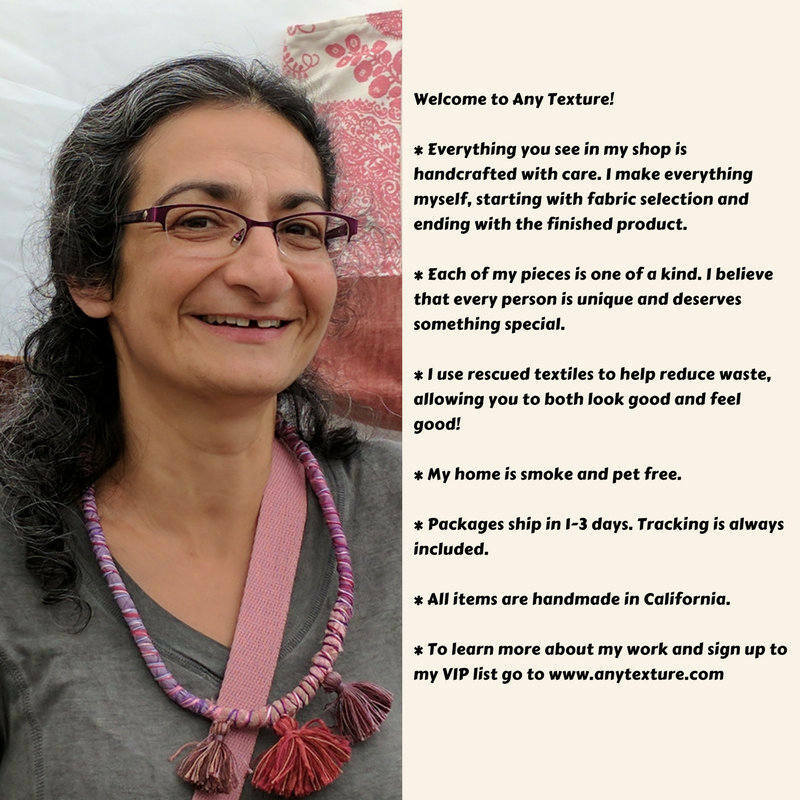 Get it for yourself, or give as a useful gift to a favorite mom, sister, daughter, girlfriend, wife, bridesmaid or any other woman in your life! – Made from re-purposed designer upholstery fabrics, that are both gorgeous and strong. 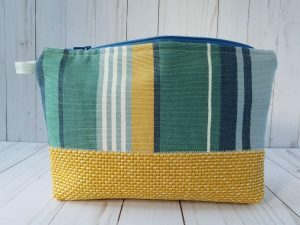 – This zipper pouch has a yellow base. 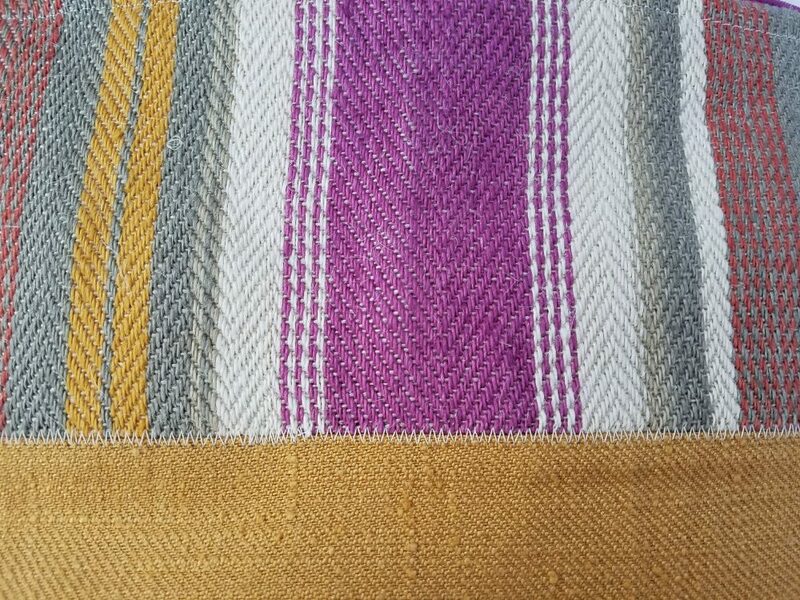 – The sides are made of sturdy fabric with pink, yellow, gray and beige stripes. 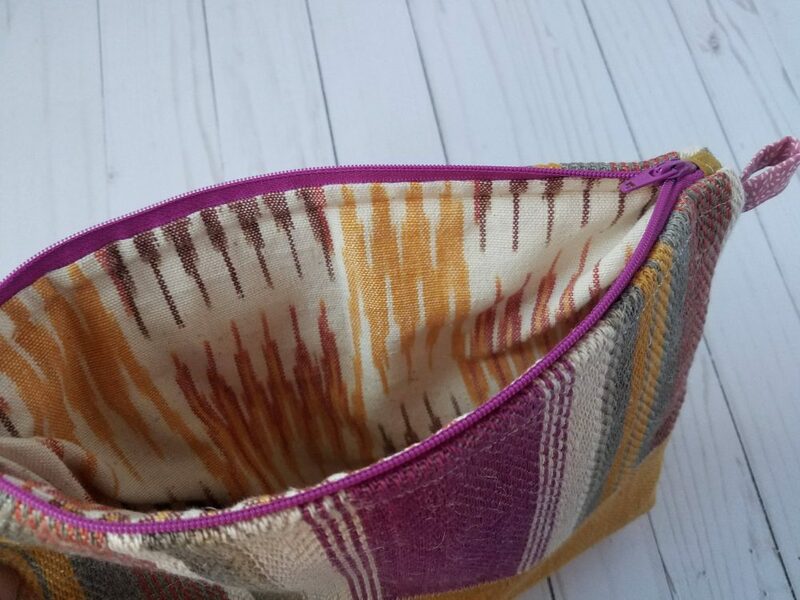 – The pink zipper gives a splash of color and matches the outside fabric. 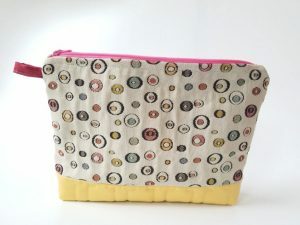 – Lined with a beige, pink and yellow lining.